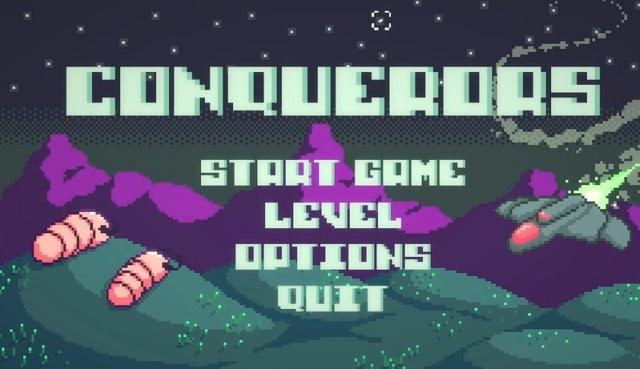 Indie Retro News: Conquerors - Control your enemies and prevent the conquest of your planet. Conquerors - Control your enemies and prevent the conquest of your planet. I'm sure everyone of you has either heard or watched the movie Aliens, with those awful facehuggers lunging at peoples faces and implanting a rather nasty creature in their bellies. Well this game ' Conquerors ' developed by TheGreatThibal is very similar. But with this game, your planet is under threat and your family being wiped out, by the use of face hugging by crawling into enemy suits, you can control them and cause all out revenge on the ones who started the problem in the first place. For what is a free game this is a seriously good bit of development by the developer TheGreatThibal, the mechanics, the graphics and the sound make this for a solid game experience. In fact it's so good that many are calling out for this to be made into a bigger more full release. As such I highly recommend you download it right now and see why even I enjoyed playing it!